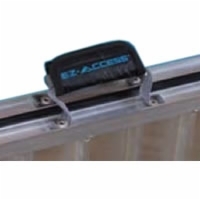 Our signature single-fold suitcase ramps boast a weight capacity of 800 pounds and are equipped with features to make going up and down the ramp on your wheelchair or scooter safe and easy. 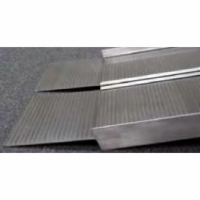 A full-length live hinge divides the ramp, and is designed not to protrude or pinch. 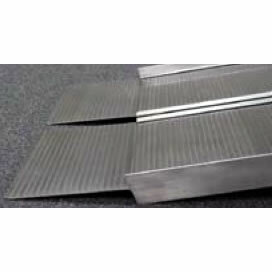 Extruded treads ensure a strong gripping surface for your tires, and bottom transition plates help you get on and off the ramp smoothly. When folded, the ergonomic handles make carrying the ramp easy and comfortable. All-aluminum construction helps keep total unit weight low and manageable. This product currently has no reviews. Would you like to leave one?